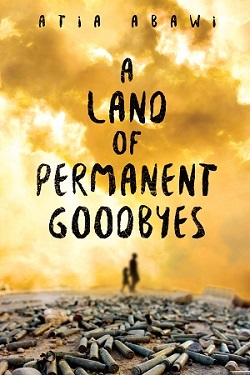 Don’t miss a BRAND NEW interview on The Women’s Eye Radio as I chat with author and foreign network news correspondent Atia Abawi about her just released second Young Adult novel, A Land of Permanent Goodbyes. A mutual photojournalist friend introduced me to Atia. After reading her book I had quite an emotional reaction to the refugee experiences she describes. 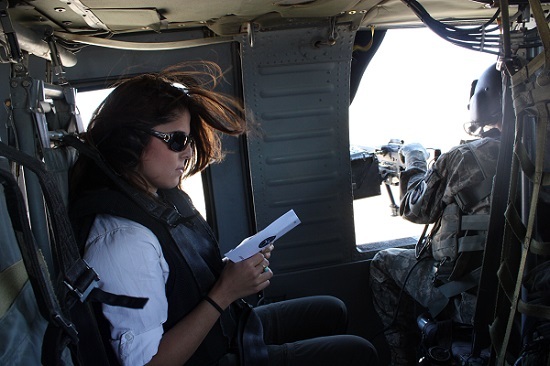 I wanted to talk with her to get a better understanding of a crisis that cannot be ignored. 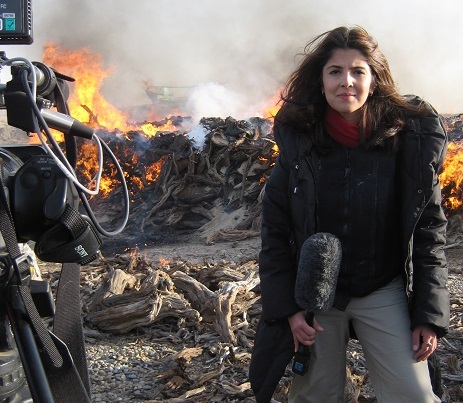 This award-winning journalist is based in the Middle East and researched the global refugee crisis extensively to tell a timely story of one teenage boy and his family’s fight for survival in war-torn Syria. It is a gut-wrenching tale that doesn’t shy away from the unspeakable violence, the “hunters” and the never-ending search for safety. For Abawi, A Land of Permanent Goodbyes hits very close to home as she was born a refugee to Afghan parents in West Germany and raised in the U.S. Her family’s decision to flee war in Afghanistan helped her to understand the plight of families who must try to outlive a tremendous loss. With this book, Abawi hopes to create empathy and raise awareness of a crisis that is happening in real time. Abawi says many tears were shed writing this story, but she says it was a story that needed to be shared. Take a listen to her story! To find out more about Atia: www.atiaabawi.com.